Bad Boy rap music group is very famous in America. 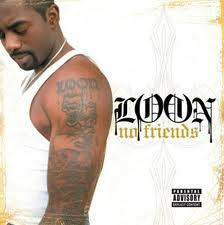 Loon is a famous singer with the group whose real name is Chauncey L. Hawkins. After converting to Islam, changed his name to Loon Muhaddith Amir Junaid. 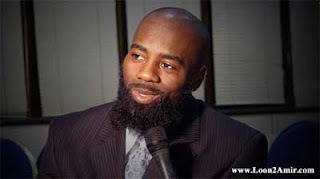 Not only Loon who converted to Islam, his wife and children also move both leaders of their families. Not long after converting to Islam, Amir went to the holy land of Mecca, met with the Imam Mosque. In front of the Kaaba was Amir finds himself as a servant of God whose mission is to worship Him. Amir converted to Islam after his last collection of songs sold 7 million copies. Just imagine, if only profit per copy $ 1.00, then it is approximately $ 7 million into kekantong Loon, or about 70 billion dollars. It was a lot of money right? who he choose to reach that ultimate happiness. It turned out that all forms of world success he had, did not prevent him to convert to Islam and chose Islam as the way of his life. No wonder if every Muslim who saw or heard the story of Loon, the spontaneous spoken in their tongue: Alhamdulillah, welcome brothers and sisters. Salut incredible. Treasures are abundant and universal fame abandoned in favor of life as a devout Muslim. While in our country is famous as the land of Muslims, even those vying to pursue the mirage of the world and it's fame. What a sacrifice. Money, wealth and fame that you probably will not get anymore like before choosing the right religion as a way of life. Amir definitely had predicted it all with full consciousness and deep understanding. That risk became devout Muslims, especially in the famous American anti devout Muslim government like Amir. Amir found the light of Islam was not yet one year, or about 10 months ago. Hajj seasons ago, he came to Makkah to perform Hajj and visit the Medina, the city of the Apostle Saw. Amir also visited Riyadh, the capital of the Kingdom of Saudi Arabia and even to several cities in the Arab Gulf countries, such as the United Arab Emirates. During his visit, Amir getting overwhelming response. Some media also lining up to interview him, including Al Jazeera, a leading television station in Qatar that is able to fight the lies and the hegemony of CNN's media magnate Murdoch Jew named. Amir is now 34-year-old told his heart most deeply about his Islamic faith, saying: I achieved remarkable fame among the American public because of the music. I am successful in a world of incredible music, so I became America's top 10 performers based on rating the American media itself. Fame have increased sharply as a duet together world-class singer that Diddy Bop songs recorded record sales of more than 7 million copies. I've written 52 songs. Amir added: you can believe it or not. Despite having abundant wealth and fame, I never feel the happiness and peace of mind. Until when I visited Abu Dhabi 7 months ago, I was shocked by the Arab Muslim culture. At that time I heard a voice chanting call to prayer and I saw people moving toward a nearby mosques to pray. They look noble and interact well with anyone. At that time the question arises in my mind about the nature of their religion (Islam). Is it just specific to the Islamic Arabs, or to all men? Until I finally got a comprehensive answer that Islam is a religion for all men, regardless of ancestry, ethnicity and nation. 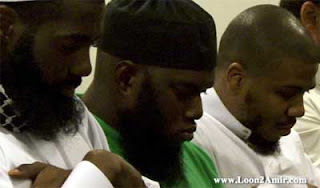 After thinking deeply, I decided to convert to Islam and I pray first time back to where I live in New York. Since then I changed completely. I left music in total. I quit a total of community where I spent my life for 17 years previously. Now I feel the peace of mind since my old longing. I feel calm again increased after the wife and son also converted to Islam. My passion to learn and know Islam is increasing, because the embedded intention and determination to bring other people back to Islam. I have also joined the Canadian Islamic preaching institutions, the field spread of Islam. I have a special program related to the problem, which invites the world's top singers and artists to know Islam and its principles. Amir's last offer their advice to young Muslims everywhere are: This is my word that comes out from deep inside. To every young man and young generation of Muslims. Never influenced by Western civilization, as well as their traditions. Never imitate Western songs and their behavior and what is being done by American or other Western singers. Be proud to Islam and this religion is now being sought by the rich and famous people in the world. Once they know Islam, they will know that what they were doing many years before was not good quality and useful.